The SJA British Sport Photography Awards presentation dinner at London’s Grand Connaught Rooms on March 12 promises to be a colourful and flash-bulb-lit occasion, thanks to another year of outstanding work – with the country’s top candidates for prizes named here today. Getty Images dominates the four shortlists – Specialist Porfolio, Sports Portfolio, Sports News Picture and Sports Picture – with eight entries up for SJA awards, after what Patrick Eagar, the outstanding cricket photographer of his generation and one of this year’s judges, described as a “great standard of entries”. “The top entries were very close, and separating them was difficult,” said Eagar, himself a prize-winner last year when he won the SJA’s Doug Gardner Award for services to sports journalism and the Association. As well as the four categories, the judges also had to determine who will win the title of Sports Photographer of the Year award, currently held by Laurence Griffiths. The winner of the Ed Lacey Trophy will be announced on the night, selected from the winners of the Sports Portfolio and Specialist Sports Portfolio categories. Although Getty have the largest contigent among the shortlists, including defending champ Griffiths, who is up for two awards, they may not get things all their own way: the major news agencies, the Press Association and Reuters, between them have seven shortlisted candidates. And there’s a welcome showing from that endangered breed, the national newspaper staff sports photographer, including the Daily Mail‘s Kevin Quigley and two snappers who between them have already won the Sports Photographer of the Year title three times – Edward Whitaker (Racing Post) and Tom Jenkins (Guardian/Observer). “The best in the business were entered as always, so the judges had a task on their hands on Judgement Day,” said Mike King, himself a former Sports Photographer of the Year and this year’s chairman of the judges. “The toughest part of the folio entries is to find 10 great, rounded pictures. “All winners are the absolute winners,” he said. Tickets for the SJA British Sports Journalism Awards dinner in central London on Monday, March 12 can be ordered by clicking here. Tue Mar 6: SJA Ladbrokes Lunch with former England rugby star Simon Halliday. Click here for booking details. 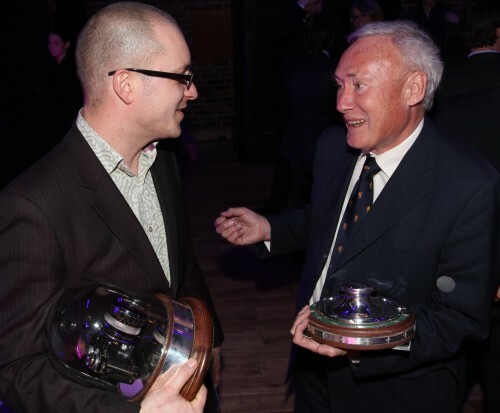 Mon Mar 12: SJA British Sports Journalism Awards in London. A gala dinner celebrating our colleagues work. For ticket details, click here. Mon Apr 16: SJA Spring Golf Day, Surbiton GC. Watch the SJA website for booking details. Thu Apr 19: SJA Annual General Meeting. Details to be announced on the website and in members’ emails.